Watch highlights from the fourth leg of the Equestrian World Cup Jumping series in Stuttgart, Germany. 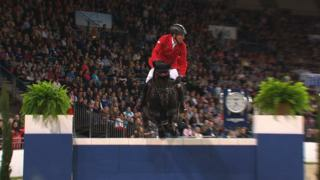 Germany's Han-Dieter Dreher goes up against his compatriot and three-time champion Marcus Ehning, while Great Britain's Scott Brash also competes. Available to international users only.